On the roadside between Al-Quds and Gogjali, a couple and their daughter escape from Al-Quds neighborhood, liberated three days ago, to a safer place farthest north of Kurdistan. Mosul, Iraq on Jan. 6, 2017. They lived with other Moslawis hidden from ISIS during two and a half years in the basement of a mosque and learned the arrival of the Iraqi Forces on Alghad FM. The husband, a former police officer, has been tortured by ISIS soldiers. 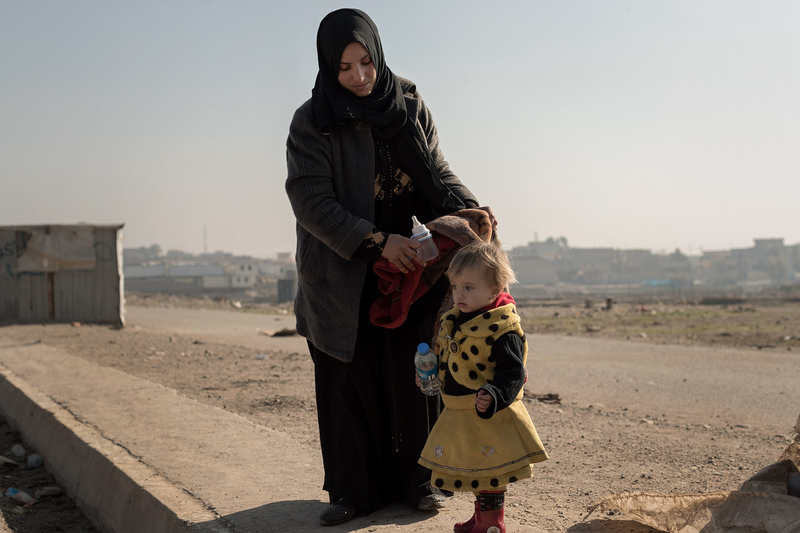 They are relieved to be free but fear that ISIS could come back and make flee the Iraqi Forces again.